What is a Freight Broker? A freight broker acts as a liaison or agent between a manufacturing business and the numerous transportation carriers who take on the job of moving goods to market. By delegating the shipping arrangements to a freight broker, business owners can focus on their company’s primary expertise without the expense and accountability for in-house transportation. Freight brokers use their shipping industry knowledge, technological resources, and relationships with various carriers to help companies accomplish their shipping goals, acting in partnership with them for greater efficiency, safety and capacity. The goal of any business that needs to move products by air, rail, or sea, or over the road. Freight brokers take on the role of making sure that their product arrives safely, at the right time and at a reasonable cost. Other roles that single-source third party logistics (3PL) freight brokers take on cover all aspects of logistics. At Port City Logistics, our services include drayage (short hauling between different modes of transportation or storage), long and short-term storage in our warehouses, plus distribution services such as picking and packing our customer’s products for shipments to major retailers and distribution centers. We also have our own truck fleet for over-the-road regional deliveries. What is a freight broker compared with a 3PL provider? Freight brokers help their customers find reliable carriers that they may not have the resources to locate on their own, whether it be for a customer shipping on a one-time basis or repeat customers. The freight broker does not actually provide the transportation, nor accept any responsibility for their shipments. They simply act as agents who match shippers with carriers. The services of a freight broker are valuable to both shippers and transportation carriers. Private freight brokers usually receive a commission on their transactions. Because of their large volume of daily shipments, freight brokers can negotiate substantially discounted freight rates from the carriers in their network. These discounts are shared with the freight broker’s customers, allowing them to save money while meeting their freight shipping needs. Companies who ship infrequently or usually ship directly with a carrier usually will benefit significantly from the services of a freight broker. While freight brokering is just one aspect of transportation, a third-party logistics provider offers a much wider variety of supply chain services. When you partner with a 3PL, you work with a company that has an ongoing investment in your unique supply chain needs, and out of that partnership provide services and discounts a freight broker can’t. Preparing the required documentation like bills of lading, customs and insurance requirements). With a 3PL company on board as a partner, service goes beyond what a freight broker can do. Port City Logistics works with you to control shipping costs, track shipments, keep accurate records and maintain an adequate warehouse inventory. Less-than-truckload is a quantity of freight that does not require the use of a full truck. Typically, LTL freight consists of shipments under 10,000 pounds. However, due to competition from other freight carriers, most LTL carriers are restricted to shipments that range between 300 and 3000 pounds. Full Truckload is a quantity of freight large enough to fill a truck. Partial truckload is a quantity of freight that may not require the use of a full truck. A partial truckload usually involves shipments over 5,000 pounds or 6 or more pallets and falls between LTL and a whole truckload. When your company has marine shipping containers that are ready to go, the next step is to locating space available on a vessel at a competitive rate. The Port of Savannah is known as one of the fastest-growing import and export locations in the United States. 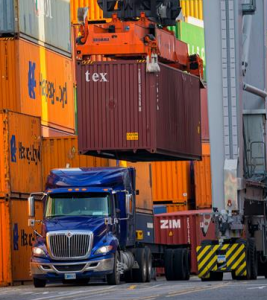 With almost 2,200 vessel calls at the port, the port handled over four million shipping containers through 2017 and has grown 30% in the last five years. Port City Logistics has played a role in this increase and for the foreseeable future, the port will continue to expand. If you have a product that is high-value freight or a tight deadline to have your product arrive at its destination, you may want to consider shipping it by air. The Savannah-Hilton Head International Airport is easily accessible and although it’s a smaller regional airport, it handles cargo screening, warehousing options for added security, customs, and freight consolidation strategies. Rail freight is a feasible option when you have a large volume of product to ship. Mixing rail and other services will provide the right capacity when needed and momentum across your entire supply chain. 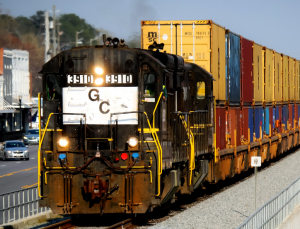 The Port of Savannah has excellent access to two major US rail lines and boasts Class I rail links through CSX and Norfolk Southern throughout the southeastern region.